I was thinking last night as I watched an episode of the television show The Blacklist, where the lead character, Raymond Reddington, played by James Spader made a comment about Homer’s classic Greek myth The Oddesy where he said, “Odysseus spent a decade at war. But his biggest battle was finding his way home.” I can understand that. Nine years ago I was on my first long distance mission out to the Syrian border in Iraq’s Al Anbar Province. It was the first of many missions in the badlands of that war ravaged province, and seven months later I returned home, but I didn’t. Too much of me was still in Iraq, and in some ways still is, but that being said I think I can finally say that I am home. Now let me say, there is still a lot of Iraq in me and if I got the chance to go back I would probably jump at it. I still have issues from my tour in Iraq, the dreams, nightmares, and night terrors have caused more physical injuries than my actual time in country. Frankly, I expect that will never change, so I simply adapt to minimize risk, and to enjoy life to the utmost. That is my reality. I can dwell on the bad and hate life, or I can make the adjustments and enjoy life. After a major emotional crash in the spring I decided that the latter was the better choice and I have not looked back since. 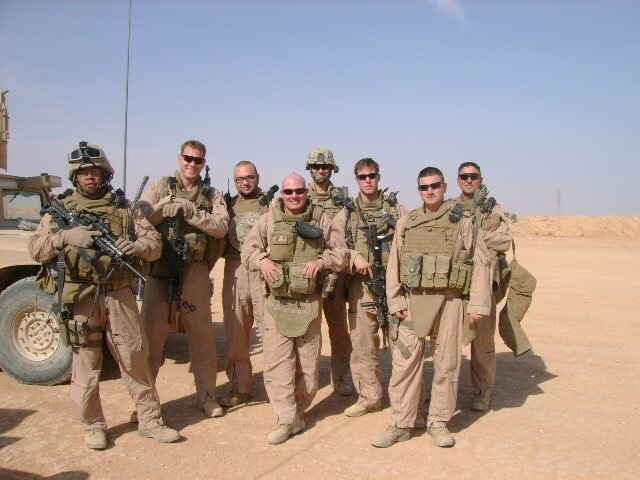 My experiences in Iraq have helped make me the man I am today, and for that I am grateful. I can admit that I am damaged and at the same time realize that I am in the process of becoming whole, maybe for the first time in my life. I have really come to appreciate life and the blessings that I have, especially my wife Judy, my two little dogs, and my friends. Things are not perfect, nor will they ever be, but I am happy and for the first time since I deployed to Iraq in July 2007 can say that I am home. Like the journey of Odysseus, mine has been a long, and for that matter, a strange trip. Once I get at least one of my three texts dealing with the Civil War era and Gettysburg published, I’ll write my story. So until tomorrow I wish you peace, and the joy of making it home. Cant wait to read your story!